The Coffee Table is available in 4 colours: Espresso, Oak, Walnut and White. 4 Colours - Espresso, Oak, Walnut and White. Available in Oak, Walnut, Espresso, White. Lifting Lid for Extra Height. Unique Modern Design. Condition is Used. 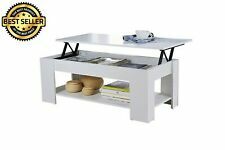 Mantis Light Natural Solid Mango 6 Drawer Storage Coffee Table Dimensions: (W) 118CM x (H) 42CM x (D) 55CM Finish: Natural Solid Mango The Mantis Light Natural Solid Mango 6 Drawer Storage Coffee Table. Top has a few marks that can be easily sanded down and re wax the surface ( see photo). PayPal or bank transfer. Sold as seen. Collect in person. 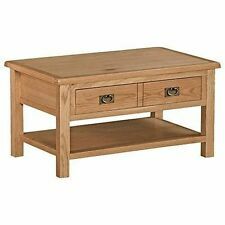 4.5 out of 5 stars - SolidWood Coffee Table. 90 product ratings90 product ratings - SolidWood Coffee Table. Size of the drawer: 24 x 45 x 14 cm (L x W x H). Relax and enjoy entertaining your family and friends around this unique and original coffee table! Important note: Colours vary from piece to piece, making each of our coffee tables unique. 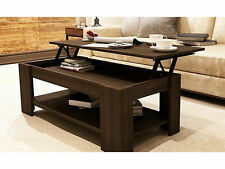 The Zenia lift up coffee table is stylishly designed with practicality in mind. Lift-top Coffee Table. Condition is Used. Go od condition se ll in g du e to m ov in g - c ol le ct i n pe rs on. Rustic Coffee Table. Condition is Used. Rustic Coffee Table Shatter Proof Glass. Condition is Used. Collection in person only. 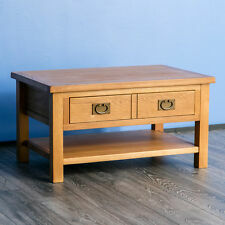 Solid wood coffee table with 2 draws that open both sides L 120cm H 48cm D 50cm Condition is Used. This table was hand made in 1969 and has real mahogany wooden legs. Hand painted in flint grey & antique white chalk paint and finished in a clear wax. 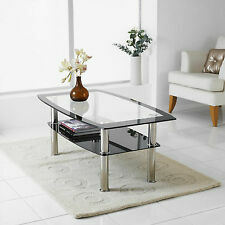 Black coffee table with black glass and curved corners.120cm X 60cm. Condition is Used. This is a lovely large table. Collection st2. Rustic Coffee Table Wrought Iron Black Glass Shelf Rattan Sides. Rustic Coffee Table Wrought Iron Black Glass Shelf Rattan Sides.. Condition is Used. Collection in person only. In very good condition. 4.5 out of 5 stars - Rustic Coffee Table Wrought Iron Black Glass Shelf Rattan Sides. 90 product ratings90 product ratings - Rustic Coffee Table Wrought Iron Black Glass Shelf Rattan Sides. 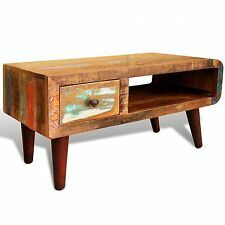 Rustic Coffee Table , hand made imported from India, two nice small draw compartments, solid well made wooden coffee table. 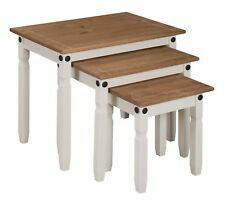 IKEA hemnes centre table. Condition is Used. Dispatched with Royal Mail 2nd Class. This item does have scratches but probably can be sanded down and polished.lovely item but I am rearranging my room. Collection only. Please pay by cash on collection. 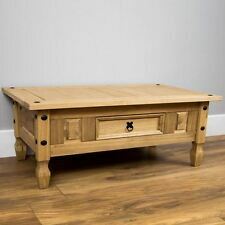 Black coffee table for sale with storage space used rrp £499 Nice coffee table f. Condition is Used. Collection in person only. Crafted from natural solid oak wood • Finished in lacquer to maintain natural beauty & durability • Dovetailed joints & tongue and groove backs • Other matching items in the range • Click below for full description/dimensions. Black glass coffee table . Condition is Used. Collection in person only. 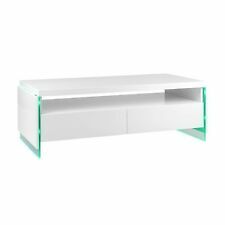 Clearglass coffee table.. Condition is Used. Collection in person only. 4.5 out of 5 stars - Clearglass coffee table. 90 product ratings90 product ratings - Clearglass coffee table.